Create a Space of your own with HDFC Home Loans. As expected, after SBI reduced the home loan interest rate, HDFC slashed its interest rates too. 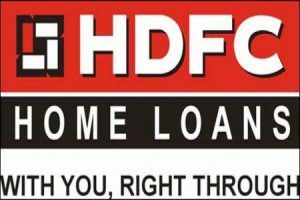 Have a look at the HDFC home loan new interest rates. You can apply individually or jointly for HDFC Home Loans. All proposed owners of the property will have to be co-applicants. However, all co-applicants need not be co-owners. Generally co-applicants are close family members. The maximum period of repayment of a loan shall be up to 30 years for the Telescopic Repayment Option under the Adjustable Rate Home Loan. For all other Home Loan products, the maximum repayment period shall be up to 20 years. 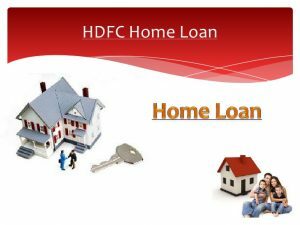 The tenure of the loan is also dependent on the customer’s profile, age of customer at maturity of loan, age of property at loan maturity, depending upon the specific repayment scheme as may be opted and any other terms which may be applicable based on prevalent norms of HDFC. Up to 1.25% of the loan amount or ₹ 3,000 whichever is higher, plus applicable taxes. Prepayment charges at a rate of 2% plus Taxes and Statutory levies and charges, as may be applicable from time to time, of the amount being prepaid are payable. The fee payable to avail the conversion shall be 0.50% plus applicable taxes of the principal outstanding plus the undisbursed loan amount or Rs.50,000 plus applicable taxes, whichever is lower. Property Insurance is compulsory and the customer shall pay the premium amounts directly to the insurance provider, promptly and regularly so as to keep the policy / policies alive at all times during the pendency of the loan. Interest subsidy of 6.25% p.a. upto a loan amount of Rs. 6 lakh 15 years or actual term, whichever is lower. And Family Income should not exceed Rs. 6 lakh per annum. The rate cut comes after a nudge from Prime Minister Narendra Modi in his year-end speech, where he said that massive inflow of deposits spurred by the demonetization of high-value banknotes has led to a significant reduction in the cost of funds. “Over the past couple of months we have seen a drop in our marginal costs of funds and as always HDFC has ensured that benefit is passed on to its customers,” said Renu Sud Karnad, Managing Director, HDFC. For further reduction in interest rate, logon to www.loanyantra.com and get 0.10% discount for one year. For those who already logged in, get free loan management till the closure. Enjoy the cash back benefits by referring your friends.